Go sci-fi with the Damned 518 Knee High Platform Boot from Demonia. 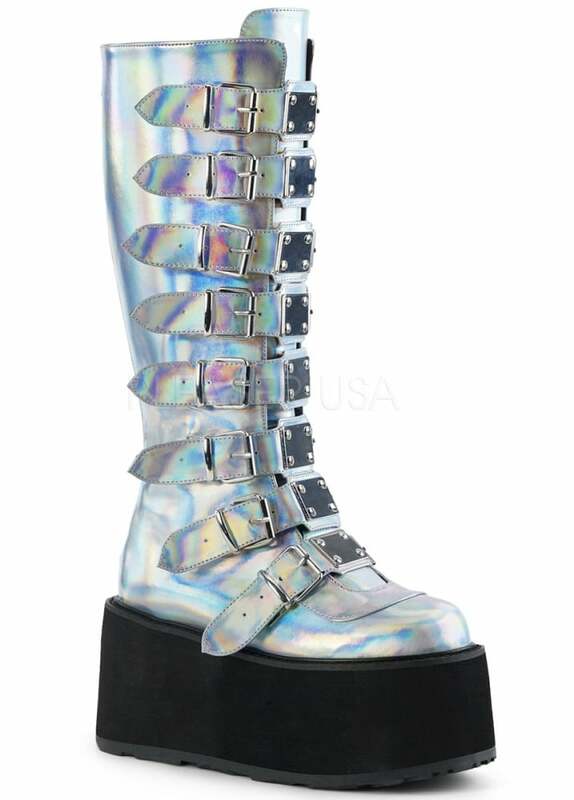 This badass boot is a holographic cyber goth boot . The alternative knee high boot is made from vegan leather and has a buckle strapped front with silver, metal plates. The boot has a back zip, making it easy to pull on, and a 3.5" platform sole.